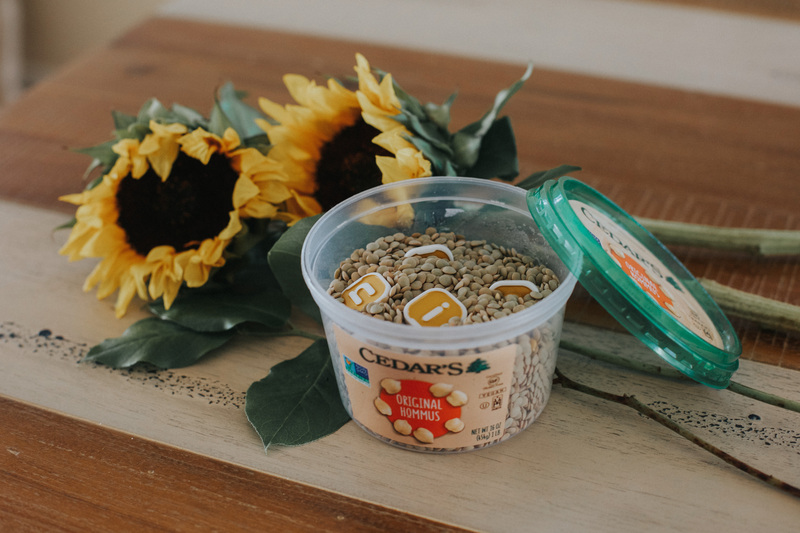 Thank you to Cedar’s Mediterranean Foods for sponsoring and inspiring today’s post. As always, all opinions and reviews are my own. Thank you for supporting the brands I truly believe in and love. I am delighted to share this DIY sensory bin made from a food container with you today. I’m focused on teaching Grace how to live a more sustainable lifestyle, and part of that is reusing household objects. 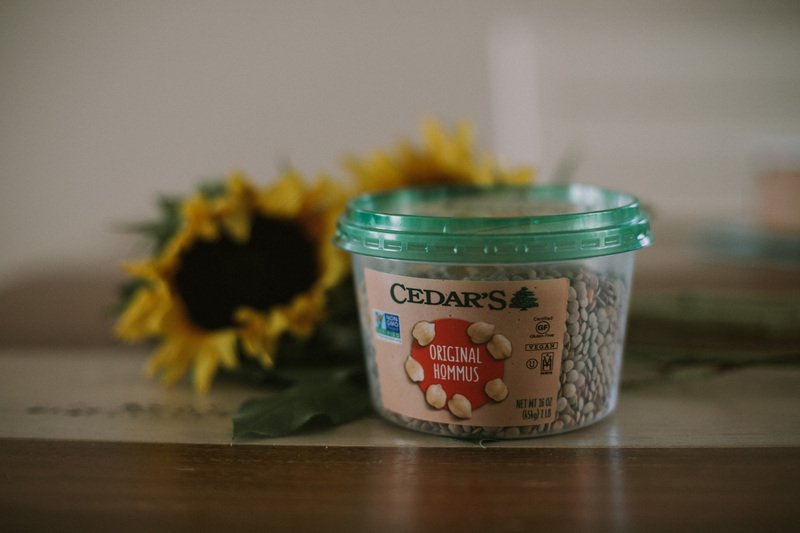 We eat Cedar’s Hommus almost daily; their mix of chickpeas, tahini and spices is seriously the perfect combination. 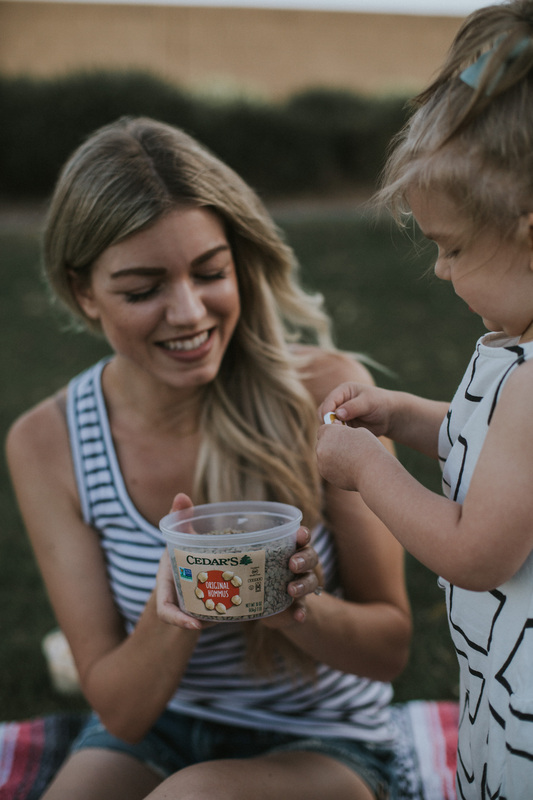 We’ve tried so many brands, but Cedar’s is the only Hommus Grace will eat. I’m convinced that it’s the tangy flavor that the others are missing! 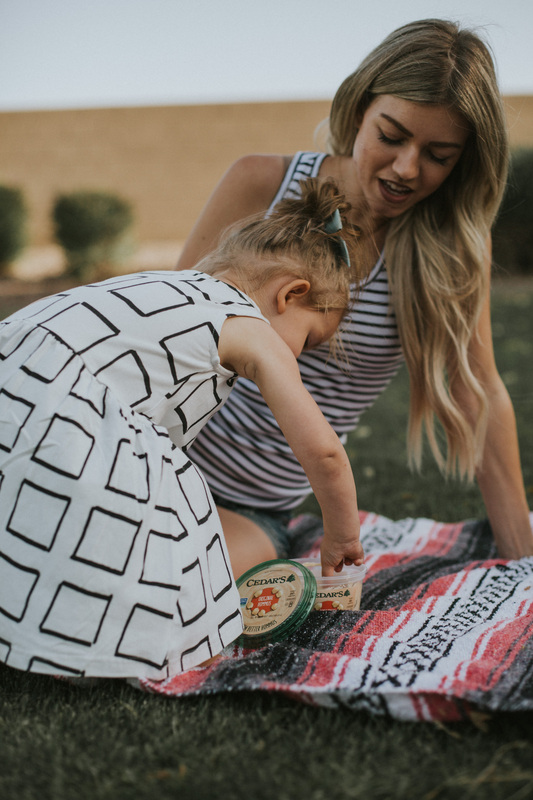 Keep reading for an easy DIY for your toddlers, and to learn how I teach Grace about sustainability. There’s also a chance for you to win a Cedar’s giveaway! The grand prize (hint: it’s a year’s supply of Cedar’s Hommus), and there are ten runner up prizes too! When I was a younger, my grandparents taught me the art of reusing plastic containers for different purposes. This idea is two-fold. They taught me that repurposing an item and making it into something else is sustainable, but it meant more than just that. It was an opportunity for our family to spend time together. We would reuse food containers for various tasks. Peanut butter jars were paint brush holders for creating masterpieces, and cottage cheese bins were places to store our small doll accessories. We even planted sprout seeds in old milk cartons one Spring. 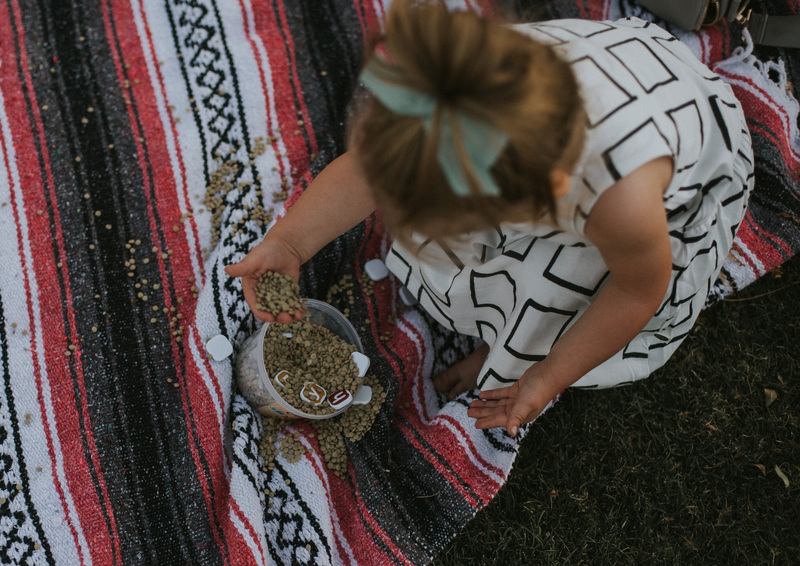 I absolutely love that I can share traditions my family did with us with Grace. 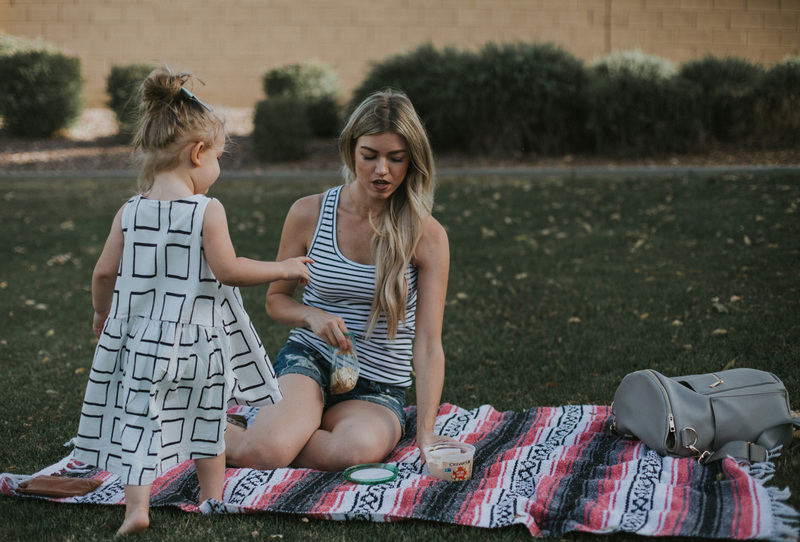 As a mom who cares very much about the environment, sustainability is even more important to me. 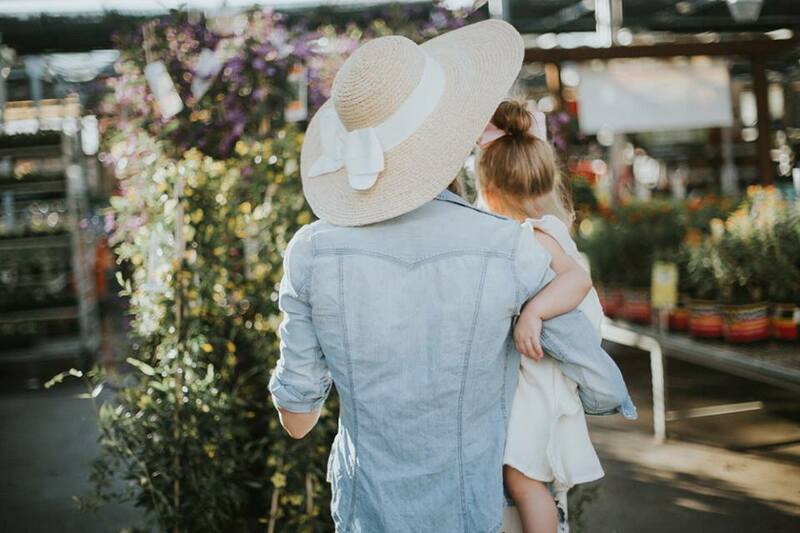 Grace will grow up on this Earth, so it is a major goal of mine to teach her how to care for this space. We reuse our Cedar’s Hommus containers for various projects. For this specific one, I was able to draw on my experience as a Kindergarten teacher to make a DIY sensory bin from a reusable container. Like I mentioned, this sensory bin is great for sharpening fine motor skills, and even gives her a chance to work on letter identification and naming colors. It also gives us an activity to engage in together, which is exactly what my family and I did when I was a toddler. 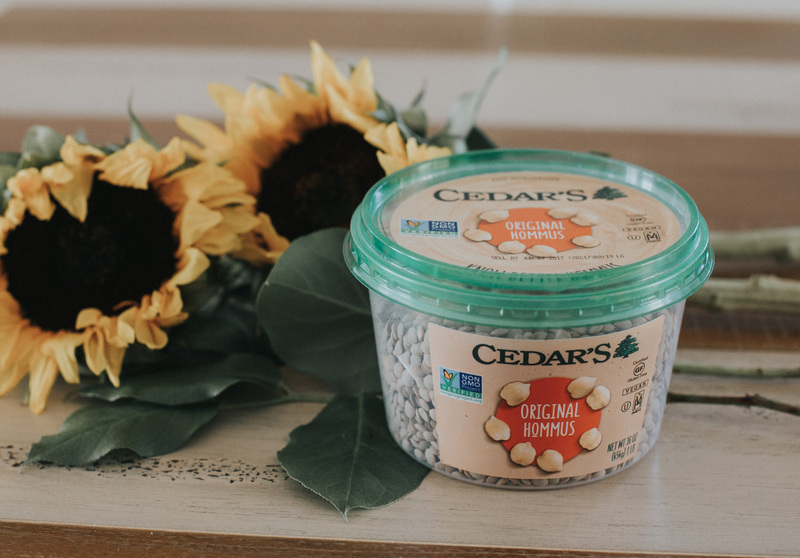 CLICK HERE TO ENTER TO WIN A YEAR’S SUPPLY OF CEDAR’S HOMMUS! Optional: page to match color tiles to or page to match letter tiles to. This is probably one of the easiest projects you’ll ever complete. 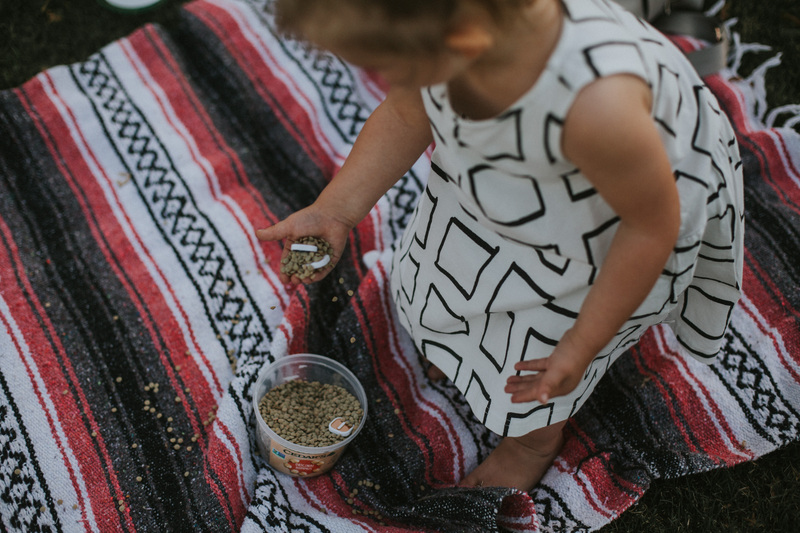 Simply fill the container with dried lentils about 3/4 full and then spread the letter tiles around so that your child has to “hunt” for them. If you want to scaffold – aka make more challenging – (sorry my nerdy teacher language is coming out, haha) then you can create a reusable page for your child to match the letters or colors to once they “fish” them out of the bucket. First and foremost, I want to say that if your child is at an age where they may put things in their mouth, you will definitely want to supervise them and play with them while using this. This is not the type of game you hand small children to keep them independently busy. With my Kindergartners, however, this kept them very busy on their own – it all depends on age, so please be aware. To play this game, you simply take the lid off and teach your child to “fish” or “hunt” for the letters one by one. That part is true for all ages. Now, what happens next depends on where your child is at in their development. For example, I wouldn’t ask an eighteen-month-old to tell me what letter they found; however, I can ask them to grab a letter from the bin. Which is pretty much all the game entails for a child that young, and that’s okay! Sensory practice is so important. You would be surprised what your kids learn by feeling different textures. 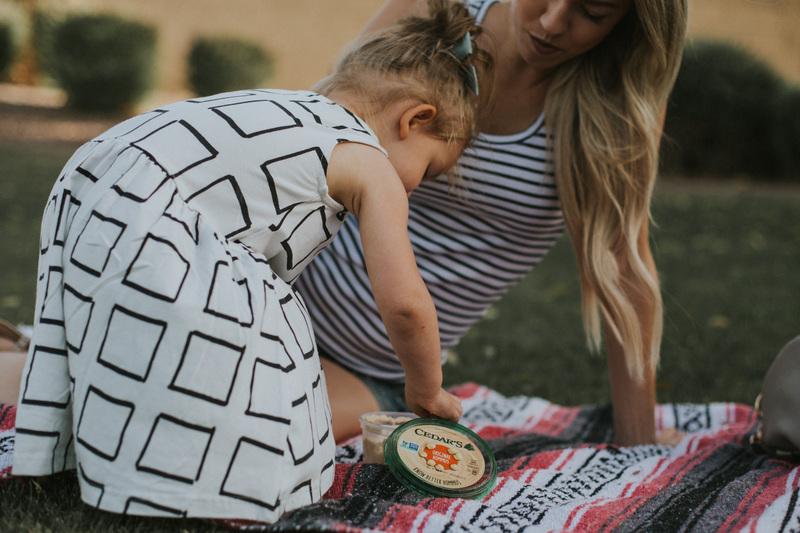 If your child is a toddler, (like between two and three) you can ask them another question once they find a tile. Like, “what color it is”, or “what letter did you find?”. If your child is school-aged, then I’d ask them both what letter they found, AND if they can think of a word that starts with that letter. 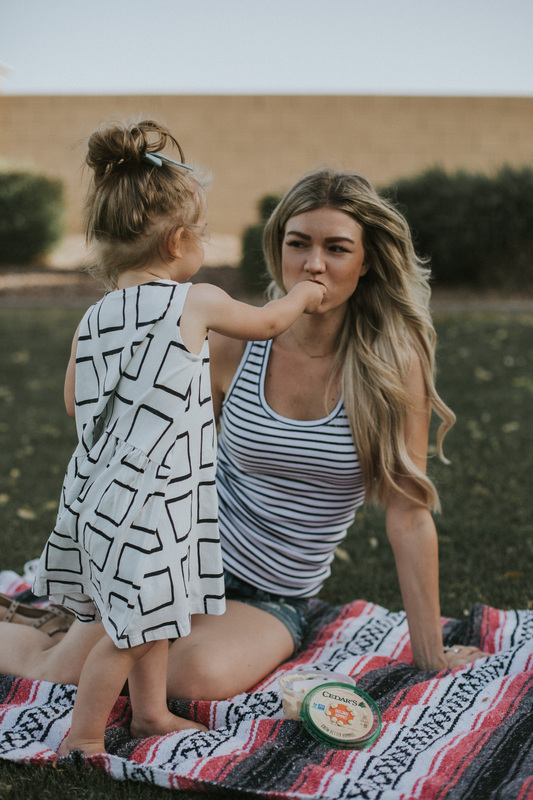 Lastly, if you really want to challenge your older kiddos, you can ask them to think of a three other words that start with that letter, or even to use that word in a sentence. 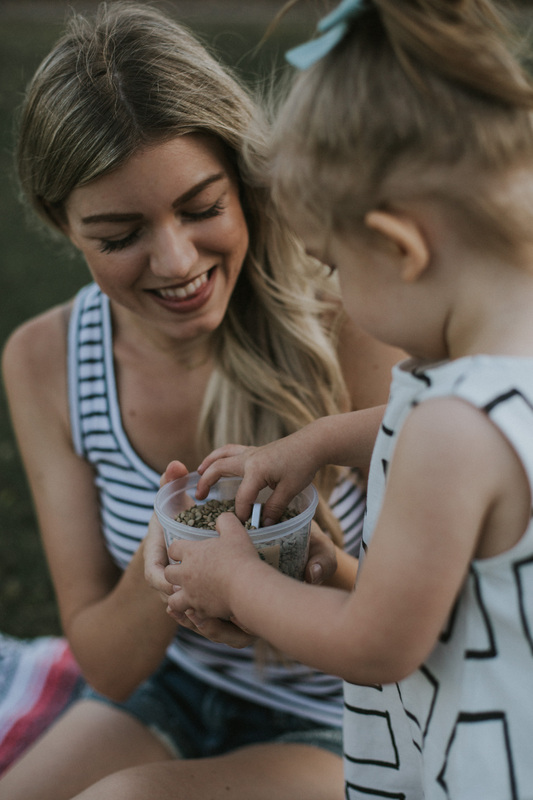 The possibilities are endless, and you’re engaging with your child. It’s honestly a win-win. I’m not sure if you can tell or not, but the teacher in me really came out when sharing this DIY sensory bin made from a reusable container. I love teaching little ones, and I love teaching Grace about my family, and how to take care of her planet. 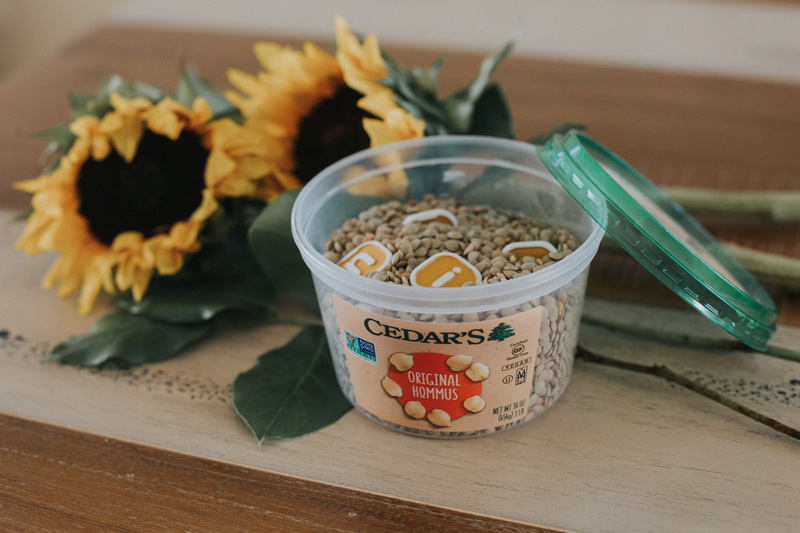 If you’re committed to making sustainability a priority in your home, I’d love for you to share what you would use this Cedar’s Foods container for in the comments below! Don’t forget to enter the Cedar’s giveaway too! If you enjoyed reading this post, please pin the image below so other families can read this and learn how to do the DIY! These sort of “toys” have always been big winners over here too! This is such a great post. I have a 14 month old and I know she would love it. Thanks for sharing! what a simple and affordable DIY! Great post, enjoyed reading it. Such a fun way to teach kids. Thanks for sharing. I am bookmarking this for when my little guy gets older! This is such a great idea! You all look so adroable! What a cute post. Your little girl is darling! Hommus is the best snack in the world! This is a great DIY. Thanks for sharing. This is a really great idea! 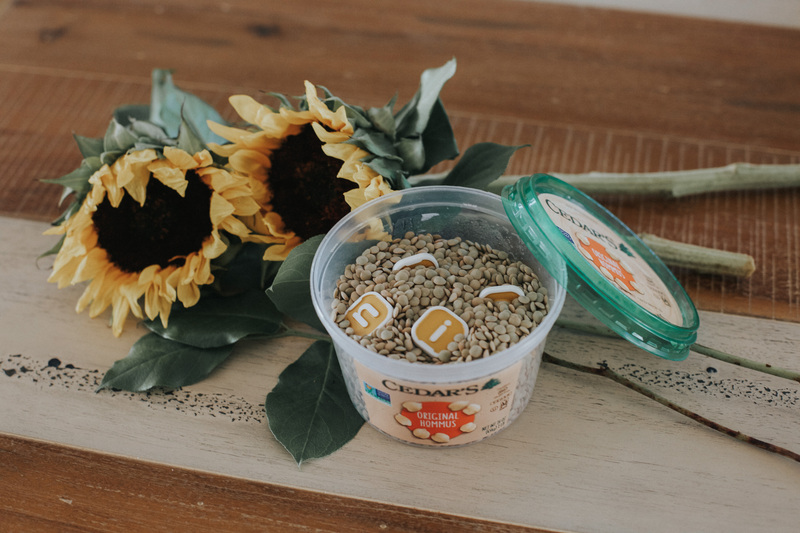 And we’re huge hummus snack fans so getting an empty container should be easy! Adorable idea! What a variety of things you can do with this! You are such a good mama! 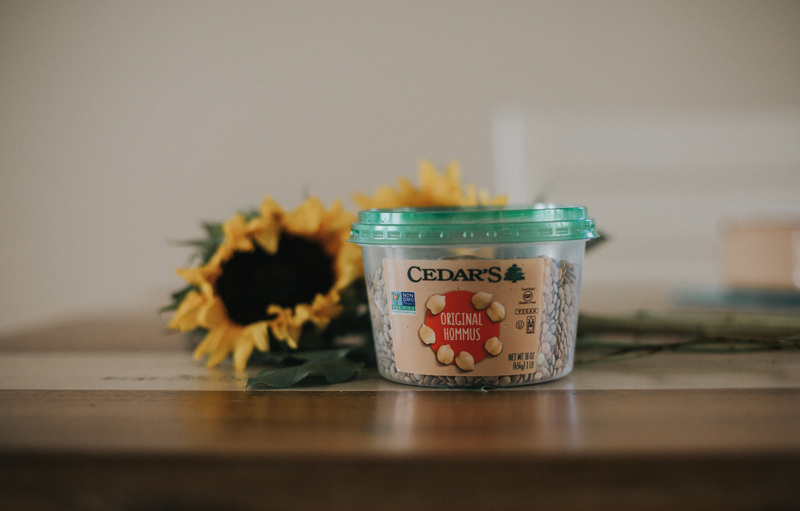 You know we are big hummus lovers over here too and are particularly fond of Cedar’s. Specially the roasted garlic. Yumm. What a neat idea for reusing a container! This is such a cute idea. With two toddlers, I could totally see myself making something like this. 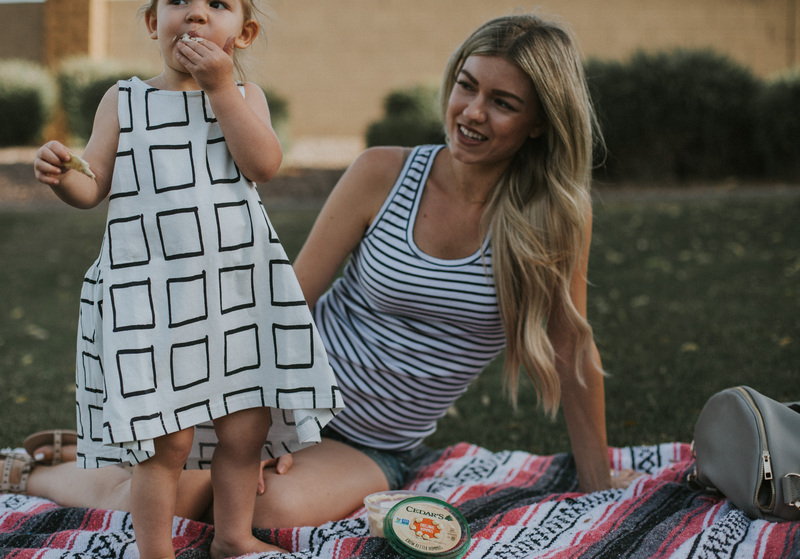 And who can resist good hummus?! This is such a creative idea. My kids love sensory bins and this one is so easy and quick to do!